Over the past four years, we in Canada have watched with horror as the political crisis in Syria spiraled into uncontrolled chaos with no end in sight. 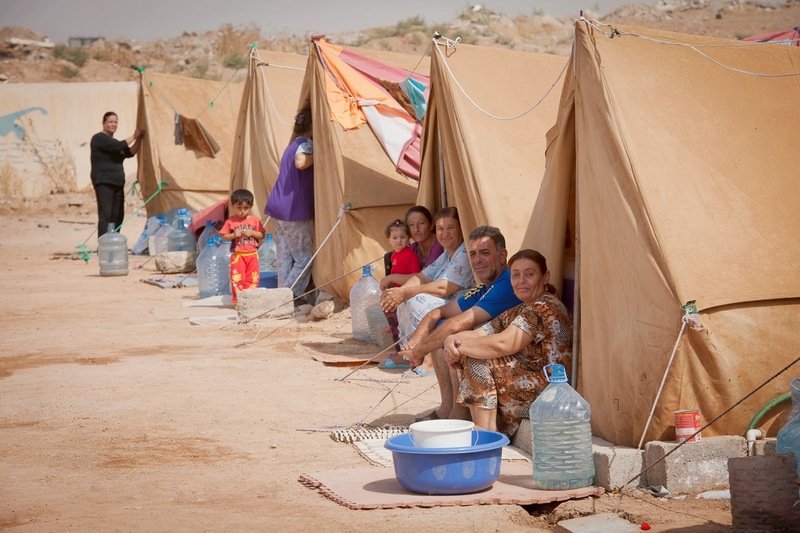 In the past year, terrorist groups have spread violence from Syria across Northern Iraq, threatening the fragile stability of Kurdistan and resulting in an increasing number of refugee camps. This March, Food for the Hungry (FH) Canada sent a representative to Kurdistan, Northern Iraq on a six day fact-finding mission and to oversee the delivery of a container filled with $250,000 worth of critically needed medicine for internally displaced people (IDPs) refugees. FH representative *John was able to gather first-hand accounts of what is happening on the ground and explore ways that FH Canada can advocate for this region of the world with the Canadian government, non-governmental organizations (NGOs), Canadian churches, and other stakeholders. John’s mandate also included setting up a clear partnership with regional players and ensuring that the medical shipment was properly received, documented, and distributed to Kurdish IDP camps and refugees. While in Kurdistan, John was able to meet with members of both the Iraqi and Kurdish Parliaments, as well as a delegation of military personnel to discuss challenges currently facing Kurdistan and how Canada could offer more assistance. John visited an IDP camp that houses 600 Kurdish families and interviewed three families about their experiences. After his visit to the camp he was briefed by a local Governor on the state of refugees in the area and discovered that housing is still needed for 120,000 people, as well as help providing basic needs and trauma counseling. One of the most difficult moments John faced was hearing the stories from families who had escaped the terrorist take-over of their home city - many women have lost husbands and children, and are suffering terrible psychological trauma. John met with the Director General of Health in one city who outlined the specific challenges of providing medical care to the 820,000 IDPs for whom he is responsible - they need additional health clinics, medicine, doctors, and other medical professionals. Before leaving Kurdistan, John was able to confirm that the FH shipment of medicine had, indeed, arrived in country with all required documentation and was bound for an IDP camp. John hopes to return later in the year to conduct a follow-up visit on the impact of the medicine shipment and spend time with doctors and medical staff in the IDP camps. *John’s real name has been concealed to protect his identity.